What ultimately became the book, Mr. Magoo’s Christmas Carol, The Making of the First Animated Christmas Special, started simply enough. Production Designer Michael Giaimo and I, who both had fond memories of the show, decided to interview David Weidman, one of the credited background painters on the special, to see what we could find out about the making of the film for ourselves, nothing more. After the recorder was setup and I pulled out my list of questions, I showed David stills from the film to tweak his memory and start the interview process. He stared and stared at the images and told me that not only didn’t he remember the film, he didn’t think he even worked on it. It was a bit disheartening to say the least, but after we began going through some of his artwork collection, the painting in the above photo surfaced making it clear that although he may not have remembered the film, he did indeed work on it. With a bit more interviewing, David began to recall painting a Christmas tree in the finale of the film but he only remembered it because he felt guilt over not painting it the same green as it was painted earlier in the film but instead chose a hue that he felt worked better for the environment. Because Weidman couldn’t answer any of my questions about the production, I began pursuing other leads and after several other interviews, it became apparent that there was a book waiting to be written on the making of the special. 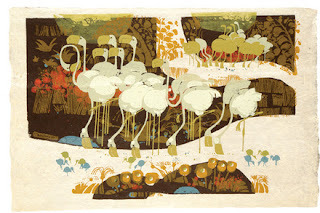 What I did learn that day was that David Weidman was an incredibly prolific artist outside of his career in animation. David didn’t remember working on the film, not because of memory loss but because his mind was elsewhere at the time. 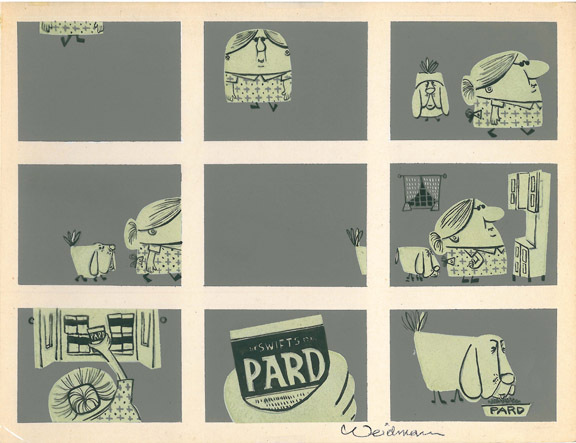 Weidman had been classically trained as an artist and entered animation as a means to an end rather than an end in itself. 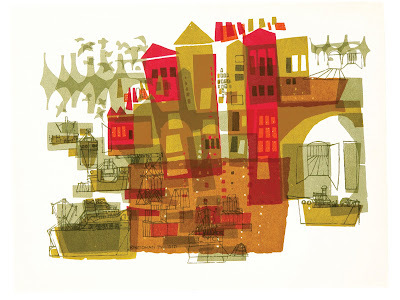 His primary focus was on his own art, which he pursued after hours and between gigs at the studios. Like many of the animation artists of his era, David Weidman attended one of Los Angeles’ well regarded art schools, in his case, Jepson Art Institute where he acquired a solid grounding in art training. 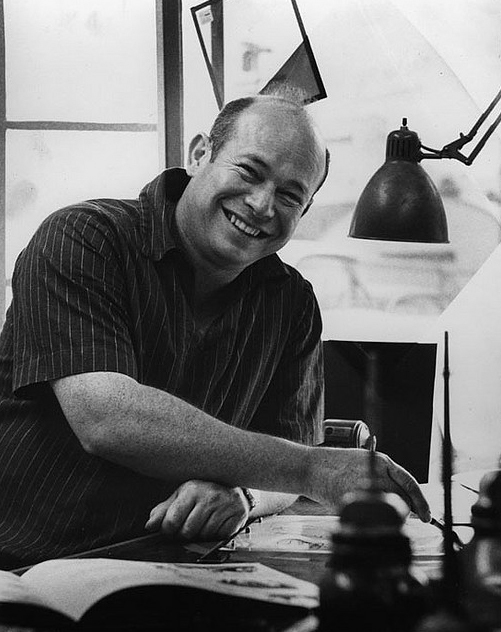 His two biggest influences were Bill Moore, who taught design at both Chouinard and Jepson (and who influenced many of today's leaders in animation when he taught at CalArts in the 70s and 80s) and Rico LeBrun, who taught animal anatomy and drawing for the artists on Bambi. It was LeBrun that had the biggest impact on David’s personal work and the school itself was a pioneer in the art of serigraphy (silk screen printing), which would have a significant impact on Weidman's later efforts. 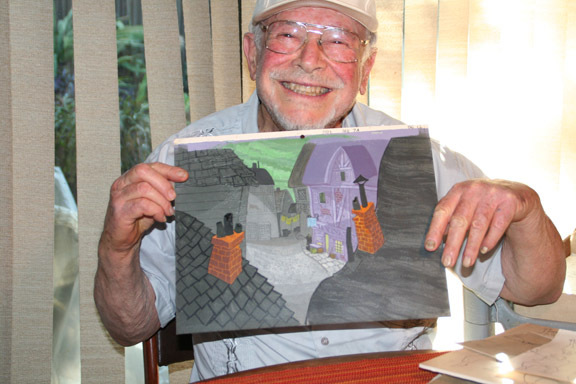 He began his career in 1955 with John Hubley at Hubley’s Storyboard Studios working on commercials before assisting as a designer on the animated version of Finian’s Rainbow, which ultimately was never produced. David next found work at UPA as part of the hiring binge for The Boing Boing Show in 1956. He was one of several future Christmas Carol artists who found employment on the 1957 version of Crusader Rabbit and then spent time at TV Spots (later renamed Creston Studios) working on such sub-contracted productions as Jack Kinney’s 1960 Popeye TV shorts, King Leonardo and his Short Subjects, Jay Ward’s Fractured Fairy Tales and the wholly Creston-produced Calvin and the Colonel. In 1962, he was briefly back at UPA, helping to finish the background paintings for Mr. Magoo’s Christmas Carol. 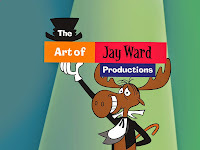 David is also credited as a background painter on The Famous Adventures of Mr. Magoo, which he did through Grantray Lawrence, who subcontracted a number of the episodes from UPA. Around 1965, Weidman began to feel the itch to do something that reflected his own vision, rather than participate as one part of a commercial enterprise. As he told his wife back then, “I feel like I keep making sentences but I’m never able to finish the paragraph. Someday I just want to be able to finish something!” In an effort to follow a project through from beginning to end, he chose serigraphy, or silk screen printing, as his medium of expression and began innovating new techniques and processes to realize his designs. He opened his own gallery on La Cienega Blvd. in Los Angeles, the street where many interior design shops and suppliers cater to the trade. 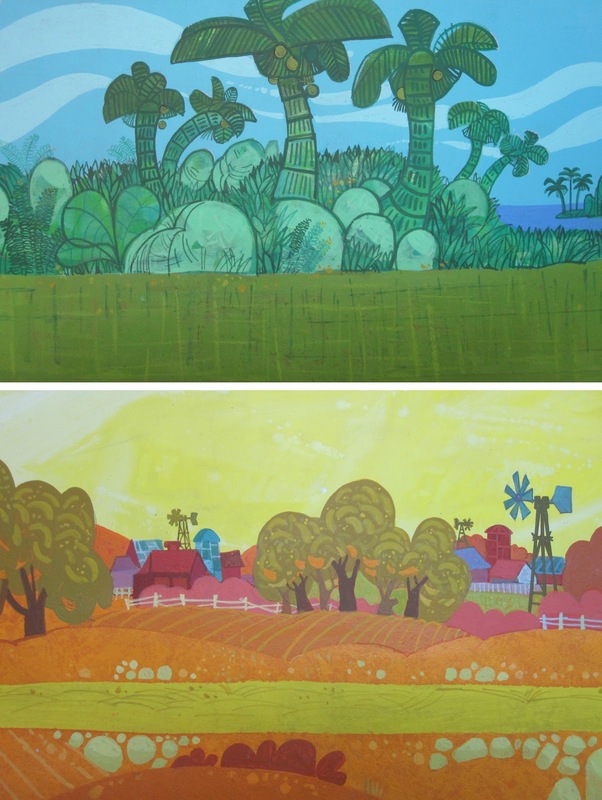 Starting in the later 60s, designer Walt Peregoy took over as head of the background department at Hanna Barbera and began looking for people to shake up the look of the backgrounds. One of his first calls was to David Weidman, whom he felt shared his artistic aesthetic. Some of the series David painted on were Wacky Races and Dastardly and Muttley in Their Flying Machines. The two images from Wacky Races at right show how Weidman's serigraph work began to inform his background painting at the time. He returned to UPA as a freelancer in 1969 to work on Mr. Magoo’s last TV special, Uncle Sam Magoo. 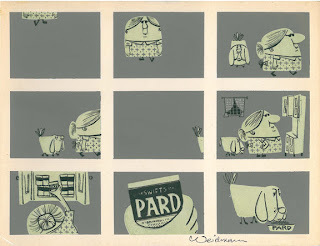 Weidman has recently experienced a resurgence of interest in his prints, now deemed “Retro” although they were actually produced at the time and many of his prints are still available today. A book documenting his work and career was published and last year, Urban Outfitters produced a line of decorator pillows featuring his work. If you are interested in owning your own Weidman print or in buying a signed copy of his book, you can purchase both here. For those on a budget who would like to own both, I recommend buying the package that includes a signed copy of his book AND a miniature silk screen print of one of his designs. UPDATE! If you live in the Southern California area, David Weidman's works will be exhibited at Bermudez Projects in downtown Los Angeles starting November 11 through December 1st. David Weidman, Modern Master: Prints 1967-1974 is part of Pacific Standard Time, an initiative of the Getty celebrating the birth of the LA art scene with over 60 cultural institutions across Southern California. David anticipates being there for the VIP opening next Friday, November 11th from 6-9 PM. Please RSVP here if you plan to drop by to meet him in person and pick up one of his amazing prints. For more information, click here. Great stuff Darrell. I love David's work and you are to be commended for helping to keep it in the public eye. I will definitely be getting a copy of his book.